The event that led me to write about the holiday meal was a Thanksgiving dinner that I attended with friends. I observed behavior that in some cases was appalling, in others it was simply thoughtless, and in a few it was just plain ignorant. My friends, by the way, had impeccable manners, but a number of their guests did not share their graces. One of the guests balanced his cell phone on his thigh—in plain view I might add–during the entire meal. It was blatantly obvious that he was not engaged or interested in the people and conversation around him. Another individual arrived not only late, but also with cut flowers in hand for the frantic hostess. A third invitee rushed to be first in line for the buffet and piled his plate so high that it was doubtful if there would be anything left for the patient last. It was difficult, if not impossible, to ignore these mealtime misdemeanors committed by well-educated experienced professionals. It was hard to tell if the real turkey was on the serving platter or seated at the table. In an effort to keep you and others to whom you might choose to share this newsletter from committing these feasting faux pas, I have compiled a list of “don’ts” so that you will be sure to position yourself with polish and professionalism at the holiday meal, whether it is a business function or a family get-together. Don’t arrive late. The host or hostess who has prepared or planned this meal has a timeline to follow. A few dishes can be ruined when the meal is delayed. Your tardy arrival tells your host and others that this occasion was not high on your list of priorities. Don’t arrive with a bouquet of cut flowers. It seems like a nice thought, but it requires that the hostess, who is trying to greet guests, check on the food and tend to all the last minute details of serving a delicious meal, has to stop whatever she is doing, find a vase, arrange the flowers and then position them appropriately. Chances are she already has a centerpiece for the table as well as other decorations. Send the flowers the next day as a thank you or select another gift. Don’t come to the table with your cell phone. IF you do, turn it off. If you can’t get through the meal without checking email and voice mail, stay home. Your actions say that you are not present anyway and are downright insulting to everyone else. Don’t heap your plate to overflowing when going through the buffet line. To begin with it makes you look like a pig. While there is usually more than enough food for all, things do happen and the last person through the line could find themselves staring at empty serving dishes or scraping out the few crusted remains. Don’t use your napkin for anything except to blot your mouth. This is cold and flu season. If you have a cold, bring your own handkerchief or a good supply of tissues. Don’t start eating or touch anything at our place setting until your host has had time to welcome everyone or ask the blessing. That includes not taking the napkin off the table or taking a sip of wine or water. Don’t use the boarding house reach. If you want something that is beyond your grasp, ask the person closest to it to pass it. Don’t ask for any condiments that are not on the table or being served with the meal. That includes salt and pepper. By asking for additional sauces or spices, you are implying that the host did not season the food properly. Eat it as prepared. Don’t leave the table until everyone else has finished eating and the host rises. To my utter amazement at this memorable occasion, I witnessed a dinner guest get up from the table and settle himself in a chair in another part of the room. Can you guess who it was? I am sure you know. It was the very same person who kept his cell phone in plain view during the meal. My best advice for dodging dining disasters is to brush up on your table manners before you head out. If you are not willing to be the polite, engaged and engaging guest, stay home or go out alone. Hire Lydia to work with your staff to improve customer service and employee relations through the use of those priceless and often over-looked soft skills called manners. Lydia is the “unstuffy” business etiquette expert who helps individuals and organizations add the polish that builds profits. We’re talking about your bottom line here. Since 1996, countless people have benefited from her wisdom through keynotes, seminars and conference breakout sessions. 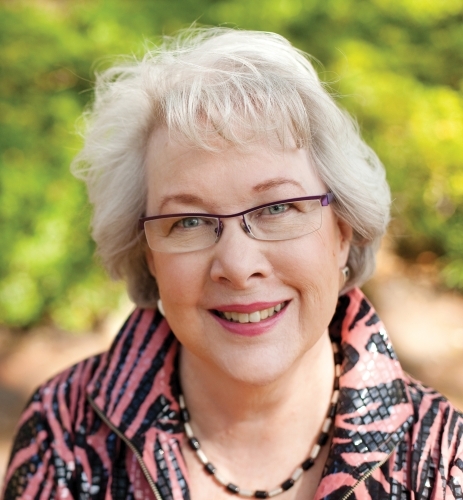 Her Southern charm and sense of humor have made her a sought-after speaker and consultant. Based in Savannah, Georgia, Lydia is available for national, regional and local speaking and training engagements. She has suitcase; will travel. Contact her via email at lydia@lydiaramsey.com or call 912-598-9812. 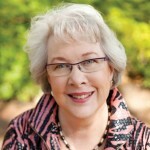 Sign up for her free monthly newsletter and visit her website, lydiaramsey.com. This entry was posted in Business Etiquette Newsletter and tagged business etiquette, dining etiquette, manners, procotol on December 5, 2011 by Lydia Ramsey.